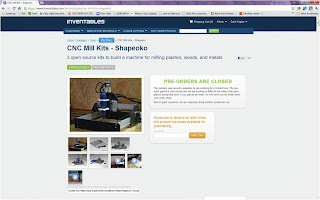 Over the last few weeks the team at Inventables has been working hard on the open source Shapeoko CNC Mill kits. It has been one of the most exhilarating experiences in our history. 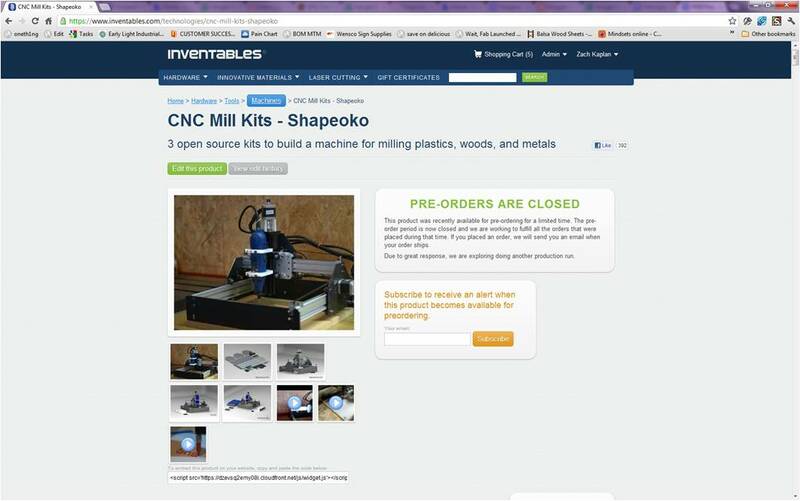 We closed the first Shapeoko campaign on April 23rd and promised the first batch of Shapeokos would ship within 60 days or by June 22nd. 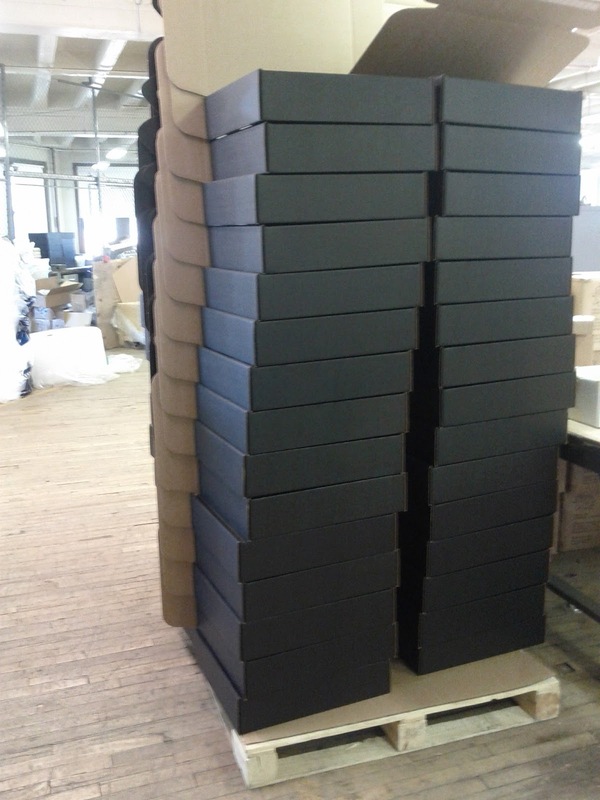 Today is June 12th and we're happy to report the first wave of shipments went out early! Let's start at the beginning and walk through how we got here. First, Edward Ford the inventor of the Shapeoko came over to our office to show us his machine. We were pretty excited and decided to work together to bring it to market with three version Mechanical, Full, and Premium. 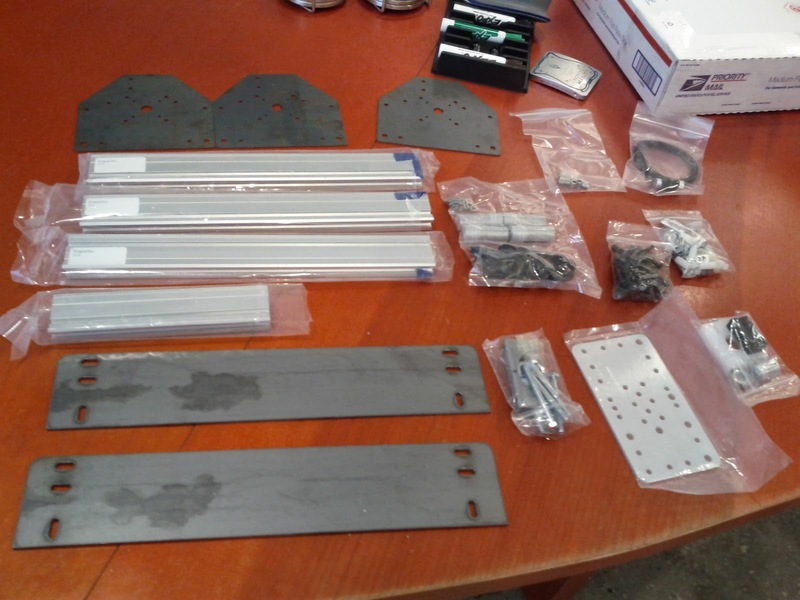 The Mechanical kit is for experts that need the mechanical hardware but wanted to add their own stepper motors, Arduino, motor controllers, wires, power supply, and cables that you need to make the machine run. The Full Kit was intended for folks that just want to follow the instructions to build their own, and the Premium Kit was outfitted with a bunch of materials and tool bits to get you going drawing and then cutting. 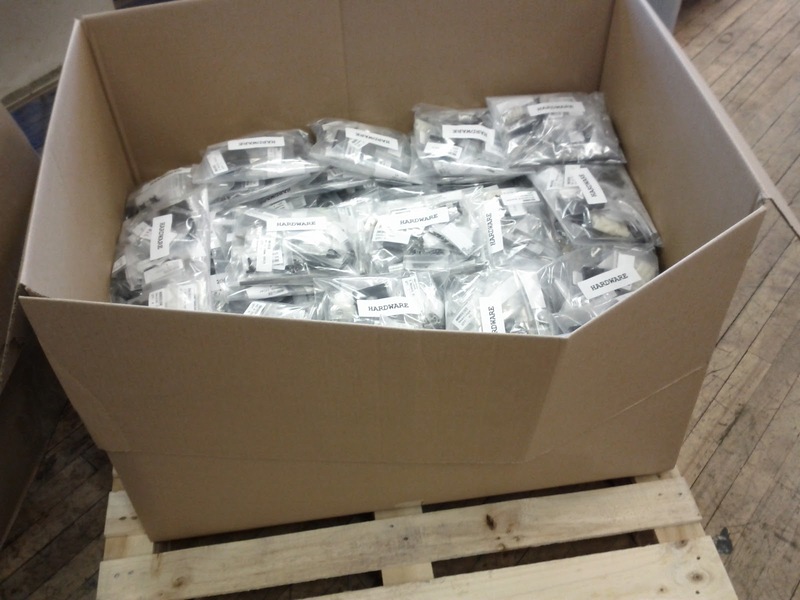 Edward send us a box of parts and we built one ourselves. We created a spreadsheet with Edward outlining the bill of materials for each kit and started placing order for parts. 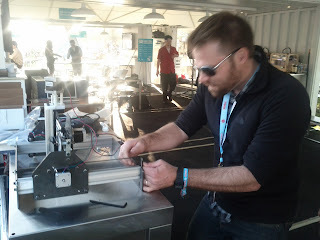 We took our Shapeoko out to Maker Faire and demo'd it in the GE Garage and got to spend some time with Edward debugging. 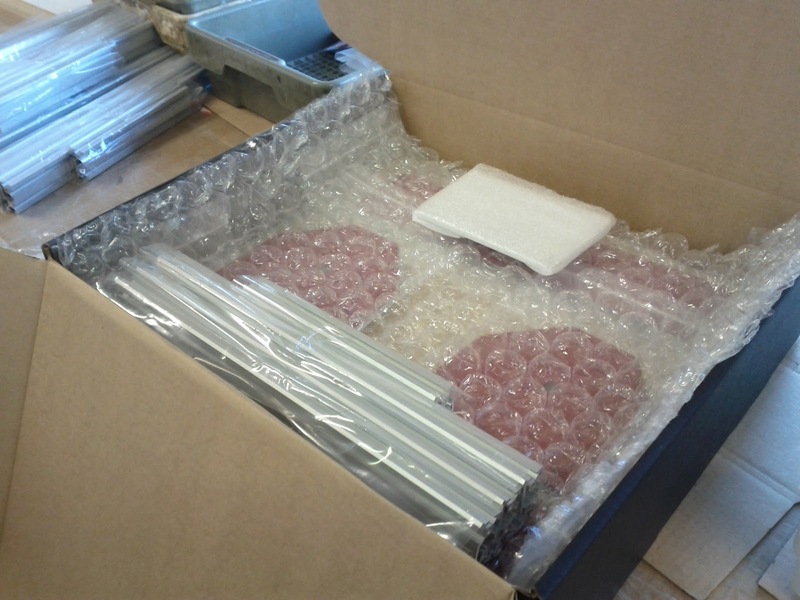 Soon after parts started to arrive in boxes and for the most part the vendors got it right the first time. There were a few vendors that made mistakes so we needed to send the parts back to get corrected. Here's an example of one of the end plates that was put in a plastic bag before the paint had a chance to dry. 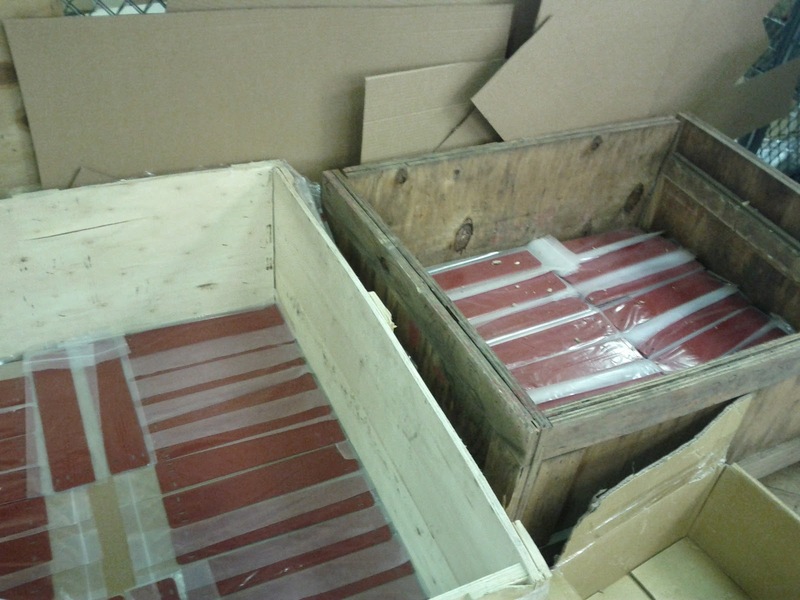 We had to send back a crate that weighed over 850 pounds back to the manufacturer to get sand blasted and repainted. 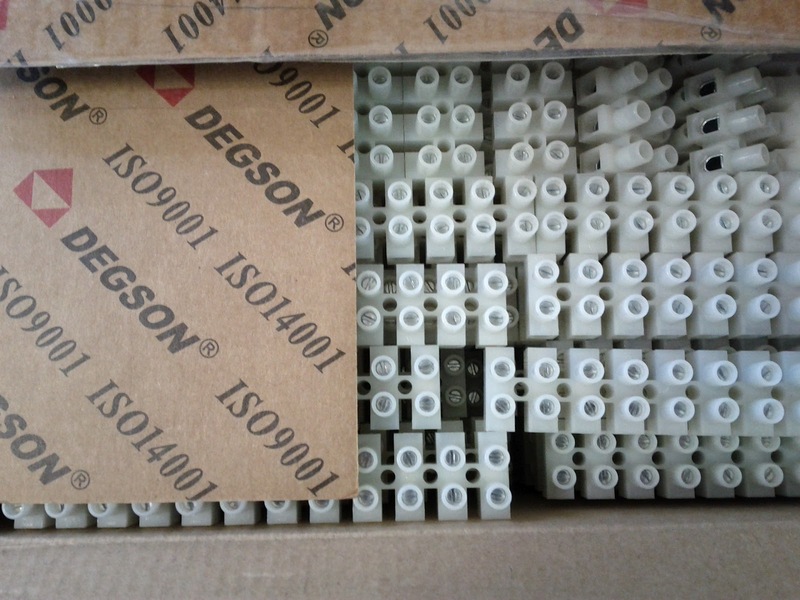 Luckily all the bumps in the road got corrected and once we had all the components in hand we started putting together the kits at our factory. 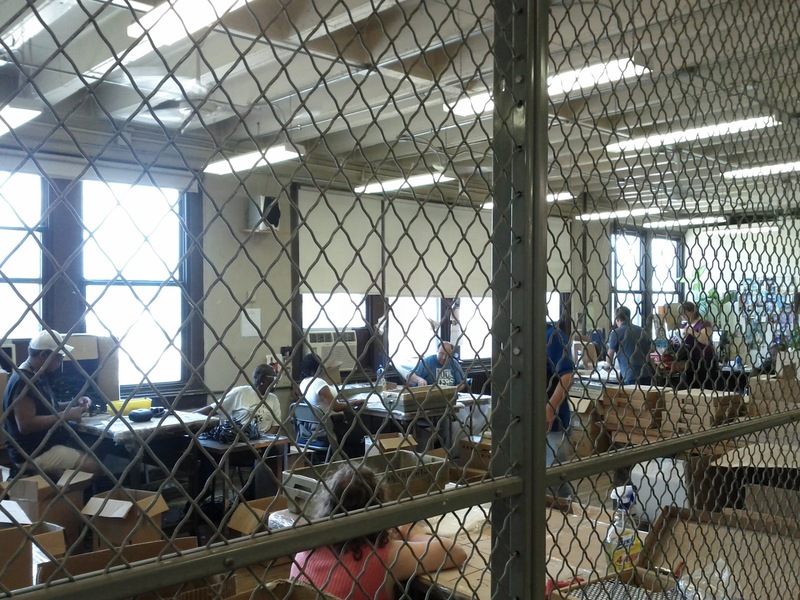 Below is a picture of the room where all the bagging and kitting happened. We had a team of about 15 people that helped us to everything from bagging small parts to kitting up the final assemblies. 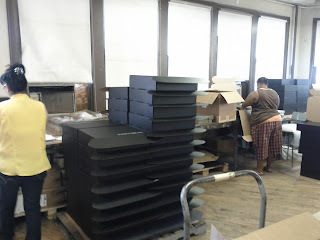 Since we had so many orders they worked on putting together all the kits for about 4 weeks. 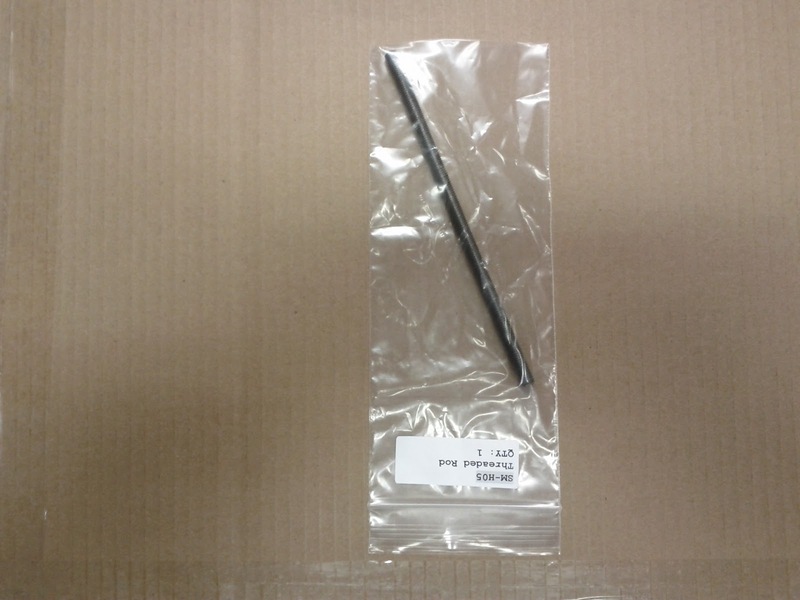 Each component in the Hardware Bag got it's own smaller bag with the part number and quantity labeled on it. This will make it easier to do the build and identify what each part is. 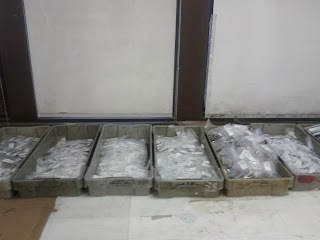 First the bags got labeled and then the parts were filled inside. After all the parts were bagged we had a long 20 foot table with tubs that included one bag of parts for each kit that will be assembled. The next day 4 people in an assembly line added one bag of each part to create the Mechanical bag of parts. These filled up 2 huge boxes on 2 wooden skids. Then it was time to take all of the larger components out of their bins and start kitting up the Mechanical kits. Below you see the end plates in their plastic bags. 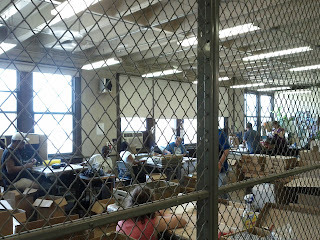 To prepare for kitting two workers assembled all the cardboard shipping containers and stacked them up. 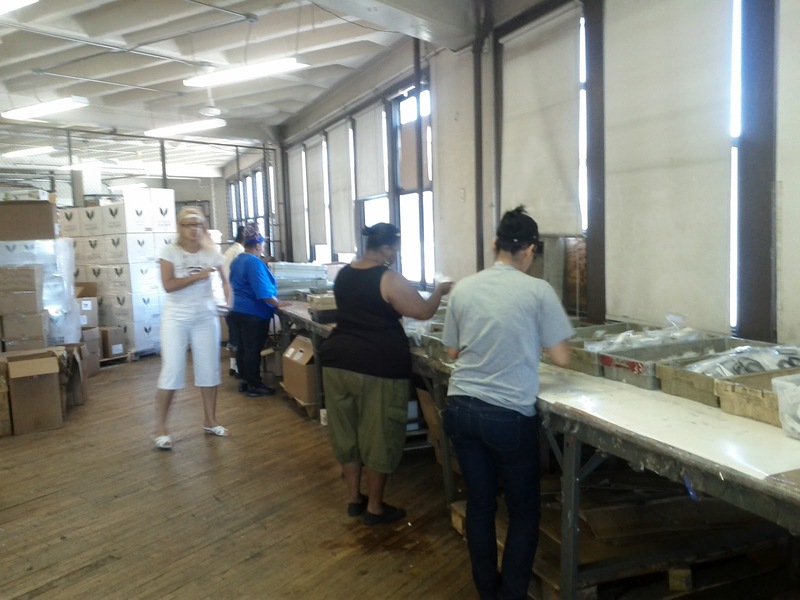 Then an assembly line of workers cut the bubble wrap which will protect the parts and started kitting them one layer at a time in the boxes. After the kitting station the boxes went to the quality assurance station. 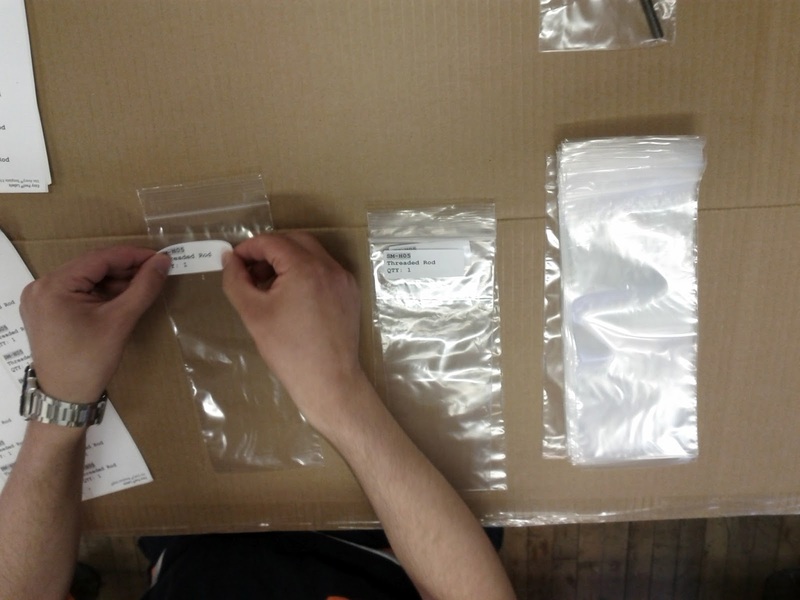 Here each kit was examined to make sure it included the correct parts. A letter from Edward and parts list was added. 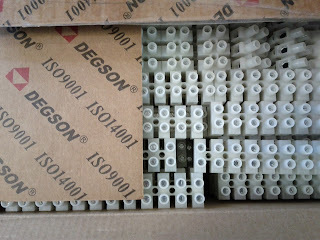 The boxes were then sealed up and the shipping label was added. Boxes were stacked up and the UPS truck loaded them up for delivery! 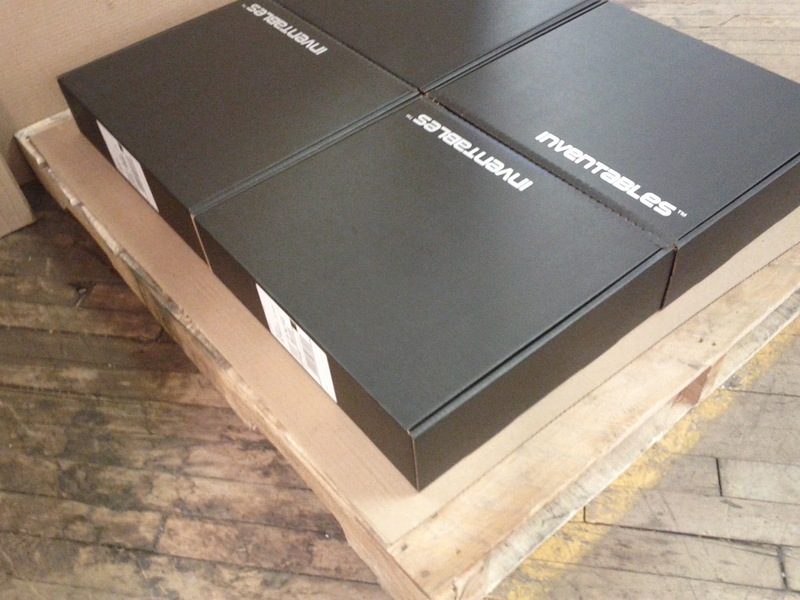 International Mechanical Kits will ship tomorrow and the Full Kits and Premium kits are up next. Those are nice looking mini-mills! 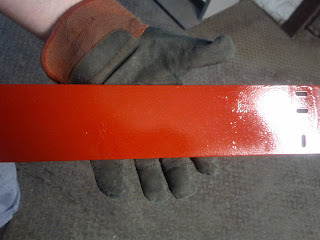 It's amazing how much more stuff you can do when you have some CNC machining capability! Wahoo! How long will shipping to the UK take? So there were two campaigns? Were there two orders? I thought the kit I bought was around the end of May, not April. Yes, so far there have been two order periods. The first period ended on April 23rd and the second one ended on May 31st. 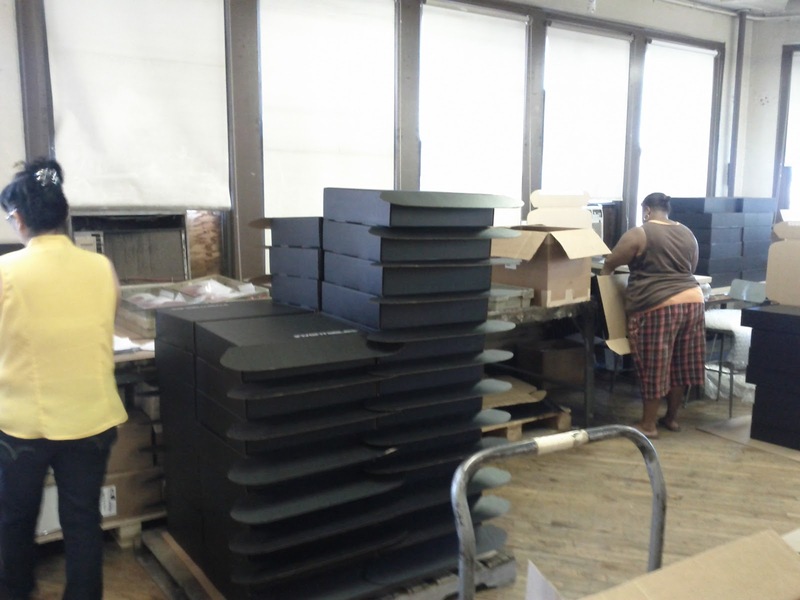 The first period's orders are promised to ship by June 22nd and the second batch are promised to ship by August 10th. Where we stand right now the first batch will beat the deadline. For the second batch I will give updates as we make progress.